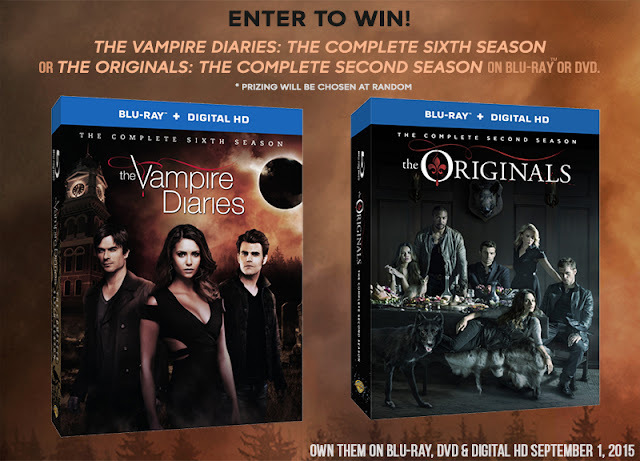 One of ChiIL Mama's readers will WIN a Blu-Ray + Digigtal HD complete season of one of the CW’s most loved shows… The Vampire Diaries: The Complete Sixth Season OR The Originals: The Complete Second Season. These would be a perfect binge watching marathon for fall, to get in the spirit of the season. Of course, here at ChiIL Mama, we treat every day like Halloween. Vampires, witches and werewolves are greatly entertaining year round. Enter here for your chance to win. Disclosure. 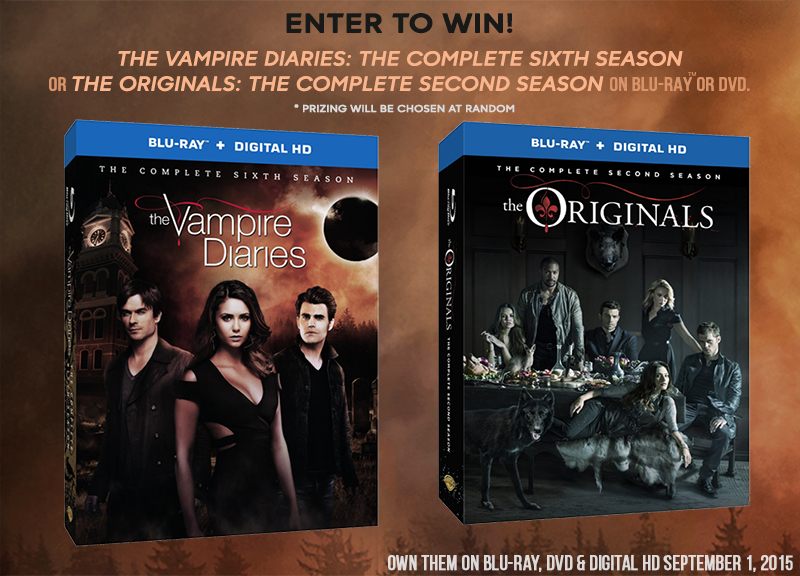 Thanks to Warner Brothers and CWTV for providing ChiIL Mama with the Blu-Rays for our giveaway. As always, all opinions are our own. ENTER HERE. Open to the US and Canada. Enter through midnight 9/20/15. Enter early and often. • EXTRA ENTRIES: Get social with it! • Tweet using the #TVD & #TheOriginals hashtags, and tag @ChiILMama on Twitter. • Share the quiz with your fans on Facebook and tag @ChiILMama! • EXTRA ENTRIES: Download the "Viewing Party Eats" PDF and comment here @ChiILMama with your favorite recipes. • Share the "Viewing Party Eats" Recipes with your fans on Facebook and tag @ChiILMama.